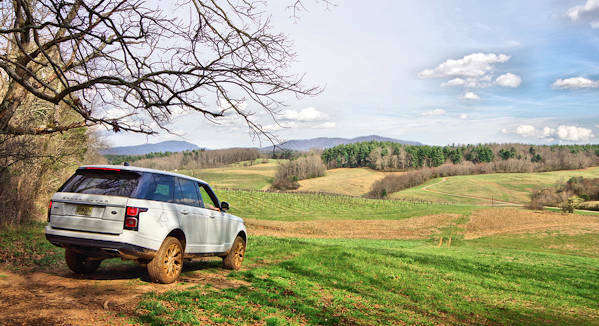 Explore remote back roads and forests on Biltmore Estate while developing off-road skills on extreme terrain with the Land Rover Experience. 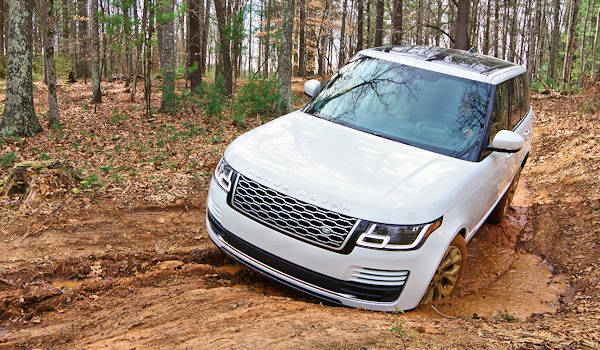 You'll get plenty of time behind the wheel of the newest, loaded Range Rover (retails for $105,000! ), Discover or Evoque. 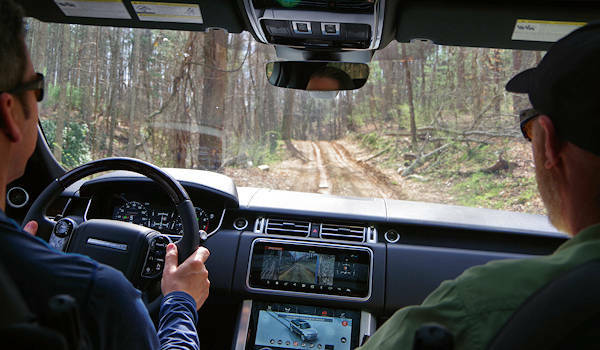 Even if you have never driven off-road, you'll be a pro in no time with the vehicle's mind-boggling technology. Take home new driving skills to use on all roads. It's great fun for a couple and a perfect gift for the guy that has everything. Go to their website for more info and to book online or by phone. Ask for the RomanticAsheville 10% discount for June-August 2019 trips: use RALRE when booking online. 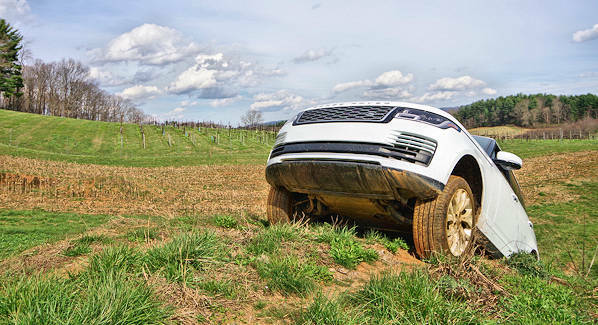 Meet your expert Land Rover instructor at Biltmore's Outdoor Adventure Center in Antler Hill Village near the Winery. After a short introduction, you are in the driver's seat. Since you navigate water, steep hills, ruts and plenty of obstacles, it's slow and deliberate expedition-style driving. It's about skill not speed, traveling about 5 MPH much of the time. Land Rover Experience offers a variety of custom trips ranging from one hour to multiple days. Most start with a one hour ($275/vehicle) or two hour ($425/vehicle) experience. With the one hour option, you usually focus on the man-made obstacle course near the Village. 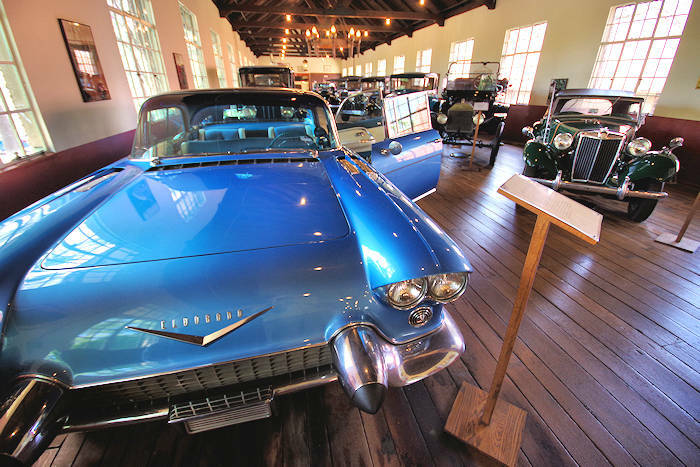 We prefer the two hour trip that takes you to sections of Biltmore that few visitors see. Narrow roads lead you across real-world obstacles on wooded trails. Watch for wildlife! Up to three participants may ride. Go to their website for more info and to book online. 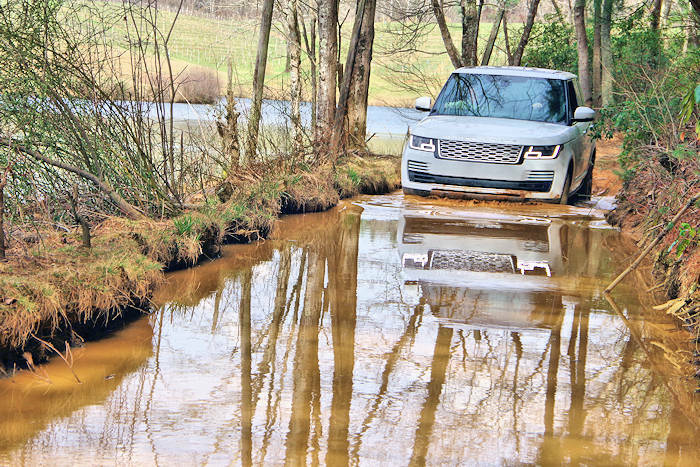 Save 10% on this driving experience with an instructor, in your choice of current Land Rover vehicle on the scenic Biltmore Estate back roads, June-August 2019. Mention "RomanticAsheville" special when you call or use code RALRE when booking online. Their Full-Day Experience is customized according to what you want to learn. Start with ditch crossings, log crossings and side tilts. Then progress to steep hill climbs, rocky descents and rugged traverses. Included is a picnic lunch at the very scenic spot (weather permitting). 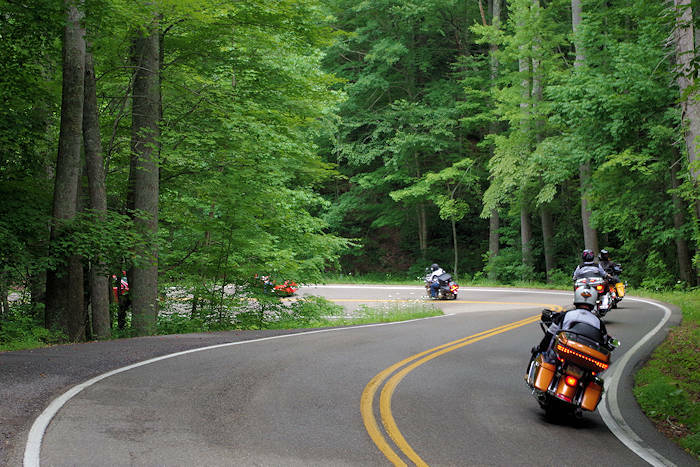 This six-hour adventure is $1,200 per vehicle. For old-school Land Rover lovers, their Heritage Experience puts you behind the wheel of three models, beginning with the iconic Defender from the 1990s. Tip: This makes a great gift! Often, a wife books this as a gift for her husband while she enjoys the estate. It makes a great father / son trip, as well as a fun girlfriend's getaway. An admission ticket onto Biltmore Estate is required (see our Biltmore Guide). Land Rover owners and Biltmore annual passholders get a 10% discount. Read more about other outdoor things to do on Biltmore Estate. Fine print: No car seats, no passengers under 8 years old, no use of the third rows of seats. In order to drive, you must have a valid driver's license and be 21 years of age or older. ​At this fun, annual event, Land Rover owner's bring their vehicle and a guest to explore the unique off-road capabilities. An expert driving instructor coaches you to navigate purpose-built courses featuring ascents and descents, side tilts and challenging rocky terrain. It's for both novice and advanced drivers. The half-day program includes breakfast and lunch for you and a guest. Space is limited. Go to their website for more info.